Members of the MBON Pole to Pole Network discuss how to improve upon the SARCE protocol for rocky shore biodiversity surveys. 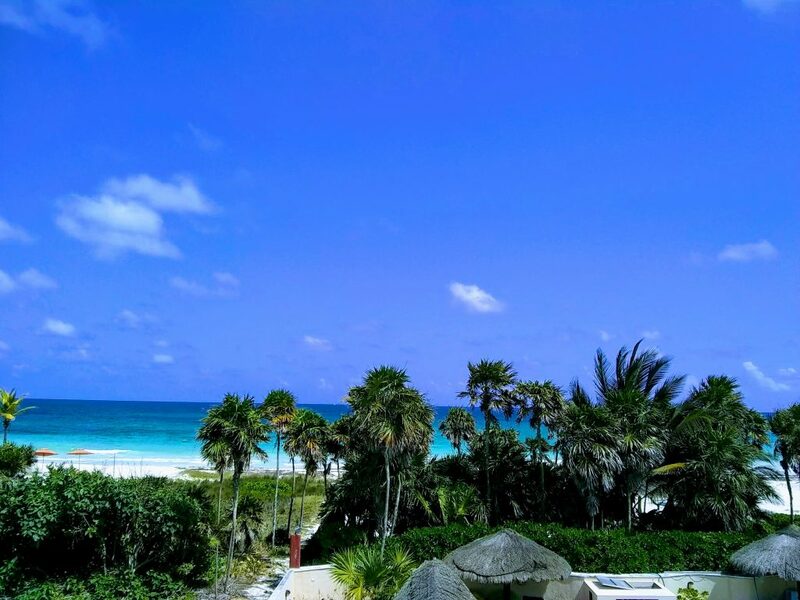 PUERTO MORELOS, MEXICO – Here in Puerto Morelos, Mexico the MBON Pole to Pole network has hit the ground running! MBON refers to Marine Biodiversity Observation Network and is a growing global initiative that brings together scientists, resource managers and a host of collaborators to share data in common formats that allow a regional and global view of of one of the most important measurements of the health of an ecosystem – biodiversity. Our last meeting was 8 months ago in São Sebastião, Brazil, but we have not been idle. Yesterday each researcher updated the group on how they completed the main goal set out by the first marine biodiversity workshop — which consisted of conducting a biodiversity survey in a sandy beach and/or rocky shore ecosystem. Each presenter discussed where their sites were located within their home country, what organisms they found there, and what the next steps should be concerning MBON Pole to Pole. This community of practice, of course, went above and beyond during our time apart. Colleagues from Brazil conducted surveys of 20+ beaches. Researchers from Chile traveled to Antarctica and deposited temperature loggers, which will measure shoreline temperatures for the next decade. During our first afternoon we split up into groups and used that time to discuss how to standardize sampling methods, how to analyze data sets, and which organisms to use as biodiversity indicators. 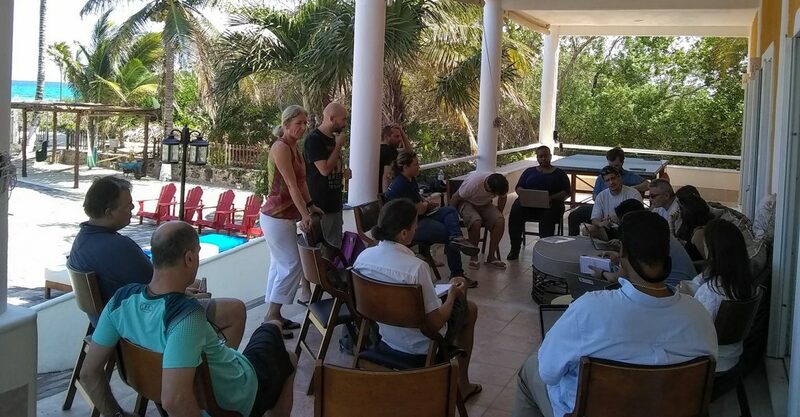 I participated in the rocky shore discussion, and during that time we debated exactly how to improve upon the SARCE (South American Research group on Coastal Ecosystems) protocol for rocky shore biodiversity surveys. This protocol is found in OceanBestPractices, an open access, digital archive of community best practices for ocean-related science, but as members of the network update and improve upon this protocol it will be resubmitted to the repository. The next few days will be filled with interactions like the one above, and as an early career scientist I am completely blown away by each and every researcher I have met through this initiative. This community works tirelessly in this voluntary effort to improve the study of biodiversity, and I know in the coming days great work will be done to further our goals.